On Dallёndyshe (“The Swallow”), her second ECM album, Elina Duni sings songs of love and exile. The troubled history of the Balkan regions has inspired many such songs and the pieces here, primarily from Albanian traditional sources, are interpreted with intensity and insight by Elina and her band. The Tirana-born and Swiss-raised singer has become an exceptional musical storyteller embodying the songs’ narratives, in a way that transcends genre definitions and language limitations. “If we can tell a story with the music and the listeners travel with us, then the goal is reached.” A story, she points out, can be transmitted in many ways, not only through lyrics, but also through the evocation of a melody, through the feeling conveyed in the performance of a song, and through the solos of the band members. Finding the songs and adapting them for the quartet is a new challenge each time: “From song to song we work differently. When it’s the four of us together, each person brings something in. We might begin with patterning of bass and drums from Patrice and Norbert, and then Colin adding something and me putting a line on top by finding another way to sing or phrase a melody. On this particular album Colin also brought in a couple of complete arrangements, which was very helpful. I’m lucky to be working with these subtle musicians who help me to bring out the poetry and avoid any sentimental tendencies. With the folk ballads there can be a danger of over-emphasising the pathos.” Alert to this, the players underline the spirit of a song without being merely illustrative. Duni’s journey to the emotional centre of Albanian song began a decade ago, when she and Colin Vallon were students at Berne’s Hochschule der Kunste. Looking at Albanian folk music rather than jazz standards as an improvisational resource led them to a whole range of discoveries. Elina found her own voice in the old songs, and in reclaiming them could also free them: the quartet’s experimental yet pure acoustic versions have been received with gratitude in Albania where folk themes were once harnessed for propaganda purposes. In the wider world Elina still finds herself asked frequently to define her music. It has clearly become more than a hybrid of ‘jazz’ and ‘folk’. Indeed, touring in the wake of Matinё Malit the group felt they had outgrown the jazz clubs. This story-telling music, with chamber music colours and forms and strong and supple rhythms as well as an improvised component, now calls for a different kind of performance space as well as a differentiated response from its listeners. 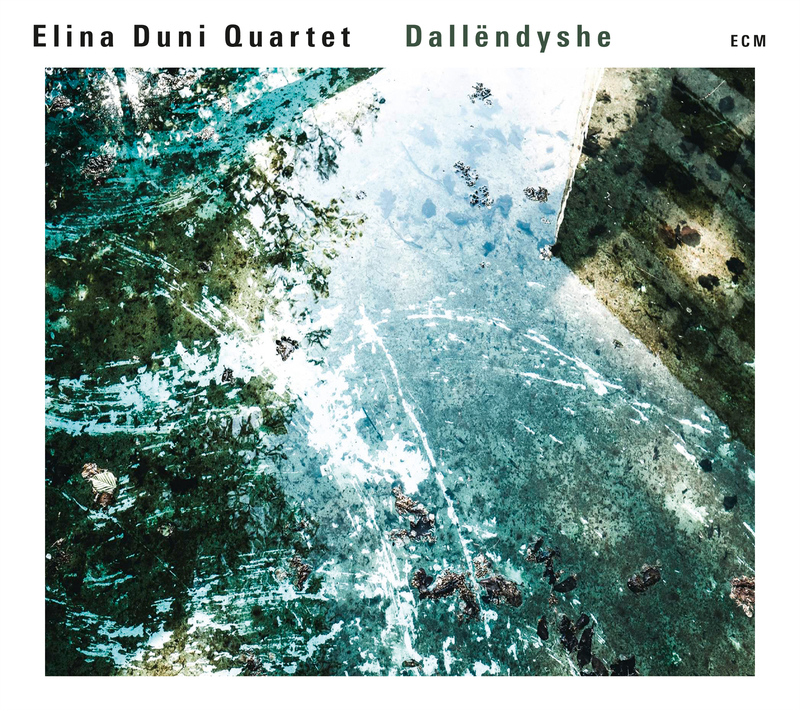 Dallёndyshe was recorded in July 2014 at Studios La Buissonne in Pernes-les-Fontaines in the South of France, and produced by Manfred Eicher.